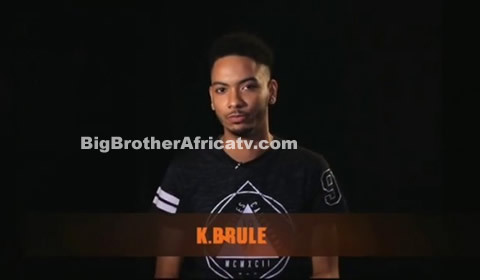 Meet K. Brule: He is an upcoming song writer and artiste, his hobbies are playing football and watching movies. His mum is super excited about him being a Housemate and he intends to bring his dirty sense of humour to the House. His favourite colour is metallic red. He is 23 years old. When he is not rehearsing in studios, K.Brule can be found playing football and watching movies. After graduating from music school, he enrolled at university only to drop out when he learned that his mother was gravely ill.
An only child, K.Brule says he is a fun, loyal and happy mate. His mother is super excited about BBNaija. If he were a world leader, he would make energy and education accessible for all.